Dr. Nick Klemisch has been superintendent at Garrison Public Schools for 2½ years. Nick says he became disgusted with complacency after spending several years teaching and wanted to have more say in what happens in schools. Klemisch says his focus at Garrison has been on expanding career options for students by creating more emphasis on career and technical colleges. However, while attending Governor Burgum’s Innovation Summit in the summer of 2017, he heard Ted Dintersmith speak. That led to a conversation with his team and ultimately a public viewing of Most Likely to Succeed. He said that led to more conversations, setting up an innovation committee at the school and a book study of The Innovator’s Mindset by George Couros. Klemisch says it all added up to a greater focus on trying to do things to meet today’s students needs through flex mod scheduling. 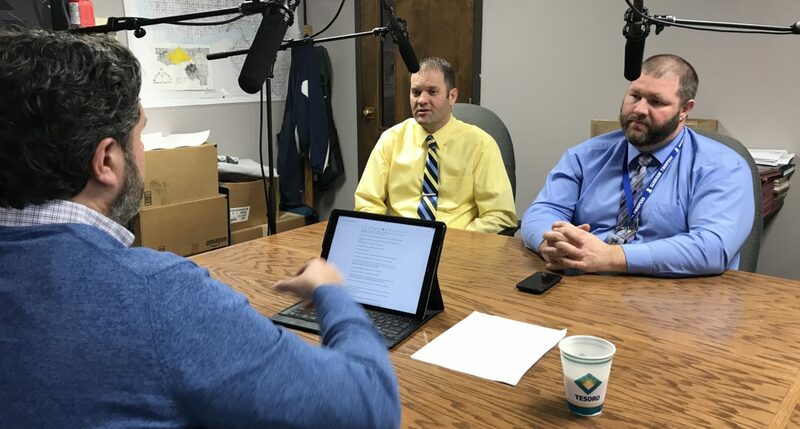 This podcast look at how a small, rural school is looking at significant change to better serve its students by utilizing resources in state (site visits, innovative committee, community discussions) and acting upon an invitation from the film Most Likely to Succeed to consider a new way to teach and learn in a small school in a rural North Dakota community.